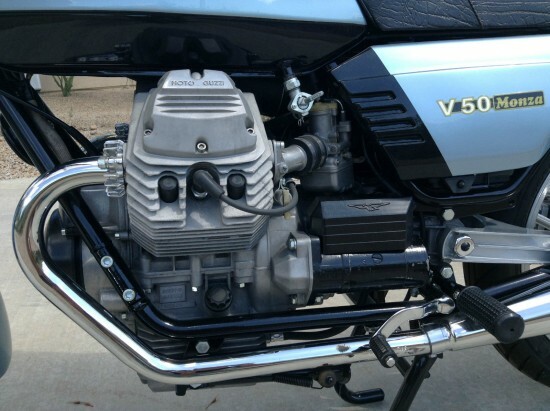 Although styled to match their bigger siblings, Moto Guzzi’s V35 and V50 models shared few mechanical components and, in some ways, were more refined, sophisticated machines. They shared the longitudinal engine configuration and shaft-drive with the bigger bikes, but used unconventional “Heron” -style heads that improve both manufacturing and combustion efficiency. Heron heads have been used by Jaguar, Ford, and Volvo and were used extensively by Moto Morini. Basically, the surface of a Heron-style head is flat, instead of domed, with valves running parallel to each other instead of angled. Combustion then occurs in the top of the dished piston top and has advantages in terms of fuel economy. The simplified design means manufacturing costs are significantly lowered. The V50 put out 45hp which is certainly enough to have some fun with, especially when combined with the bike’s light weight, strong brakes, and generally excellent handling. The shaft drive is also reportedly less pronounced than on larger models, perhaps because the smaller bike’s drivetrain contains less rotating mass. 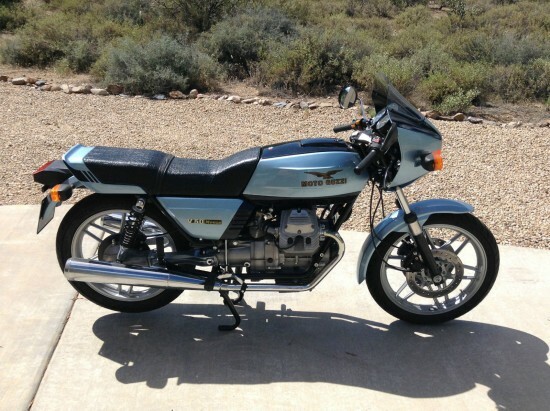 Very rare bike in the US and seldom seen for sale at all, much less in this condition. I rode this bike around the hills of North Carolina and Tennessee for a few years after I bought it, and enjoyed every mile. I then treated it to a complete frame off, full nut and bolt cosmetic restoration to the highest standards. The bike was originally red, but was changed to the gorgeous silver-blue as sold in Europe. The list of NOS parts used was very extensive and cost many thousands of dollars. 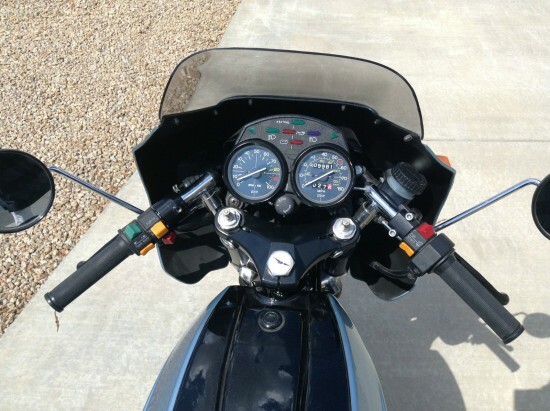 The only changes from stock are a DynaTech electronic ignition and a pair of rearview mirrors that are much superior to the stock ones. While these bikes maintain the wonderful good looks of the 1000cc LeMans, they are extremely light and nimble at only 350 pounds, and must be experienced on a twisty road to fully appreciate their capabilities. A factory service manual and parts book is included with this sale. The bike is fully sorted and needs nothing to enjoy as is. With that said, there is one issue that bears mention. It has what I consider to be an inordinate amount of noise in the primary drive. 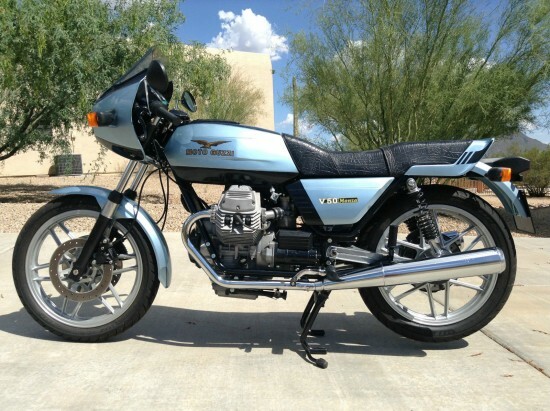 I have asked other Guzzi owners’ opinion on this, and they say it is normal for the model. The noise is reduced significantly when the clutch is pulled in, so if it is out of the ordinary I really don’t know what to blame for it. I have reduced the price $1000 from what I feel is a fair value on this bike to accommodate this issue. I’m curious about that noise the seller mentions. Guzzis use an automotive-style dry clutch that naturally makes more noise than an oil-bath clutch and certainly would be quieter once the clutch was pulled in. 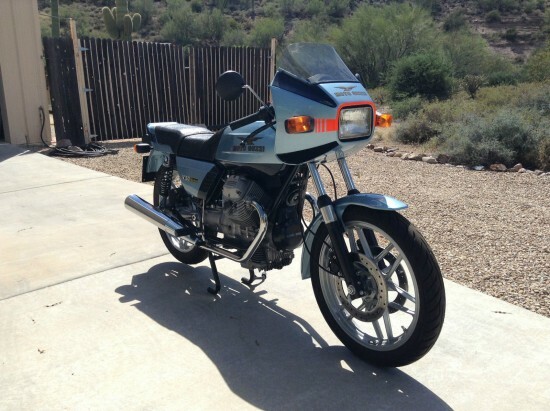 Without hearing it, or knowing the seller’s experience with other Guzzi models, it’s hard to say, but considering the work that’s gone into this, I think it’s worth taking a chance on. 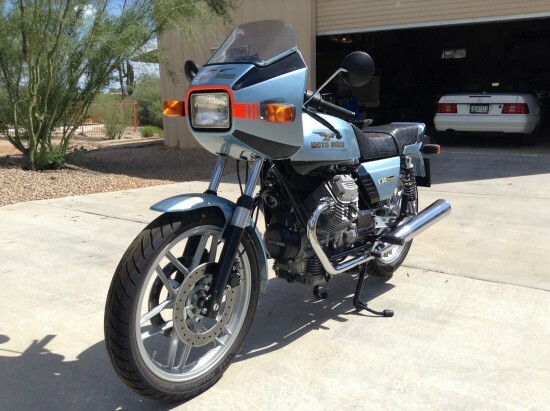 While this certainly isn’t the fastest classic Guzzi around, I think it’s a great-looking bike, and it’s much more nimble than you might expect, given its chunky looks and that shaft drive. If you’re looking for something weird, collectible, fun, and relatively inexpensive, this little Monza would make an excellent choice.